Prior to arriving in Pakse in Champasak province, I knew nothing about it. All I knew was that it was the gateway to the Laos-Cambodia border, and that we were going to stop by Si Phan Don (4,000 Islands) smack center in the Mekong for some hammock time. 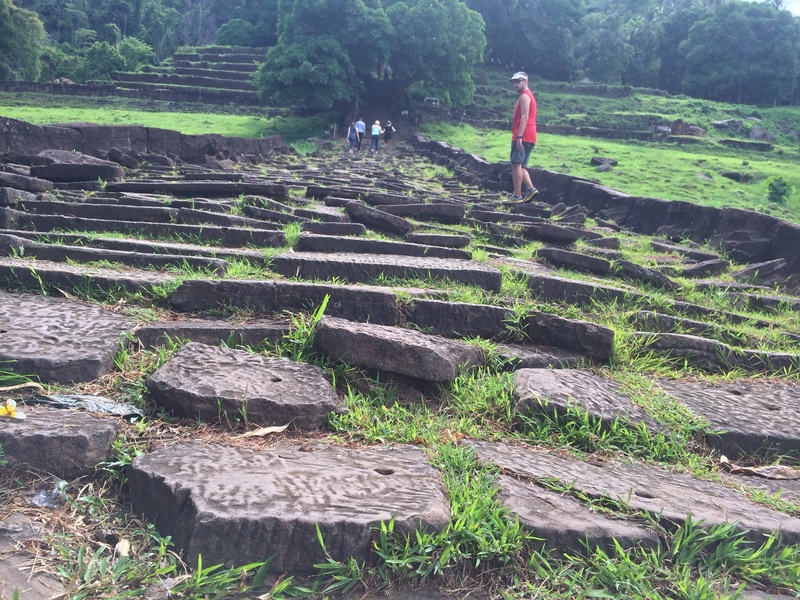 By late afternoon I read about Wat Phou, Saphai village, and the Bolaven Plateau. Chris and I decided that we could not leave Laos without exploring the Bolaven Plateau, but properly exploring it would require anywhere from 3 to 10 days. We decided to do it in 4 days, 3 nights. Since it was already 8pm and we weren’t quite ready to embark on a 4 day journey via motorbike early the next morning, we decided to spent our first full day exploring the island-town of Saphai village and Wat Phou instead. We rented a 100cc Honda Wave motorbike from our guesthouse for only 50,000 kip ($6.25 USD) per day because we rented it for 5 days. 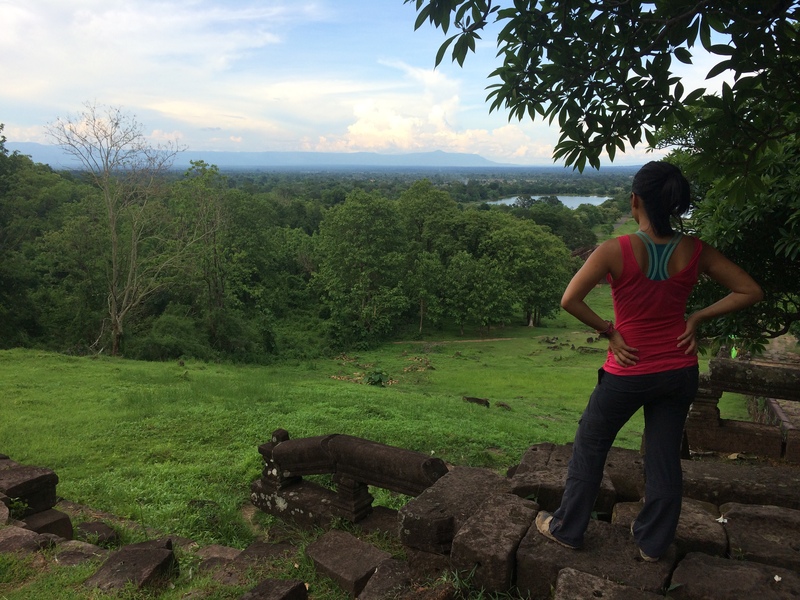 On the morning of Tuesday May 27th, we ventured out to explore what Southern Laos had to offer. We rode 17 km north to check out Saphai village, a tiny island in the Mekong with a population of less than 400 people (about 40 families). We actually just parked where I assumed was the right spot because there were no signs, and a non-English speaking man motioned us to come into his boat. 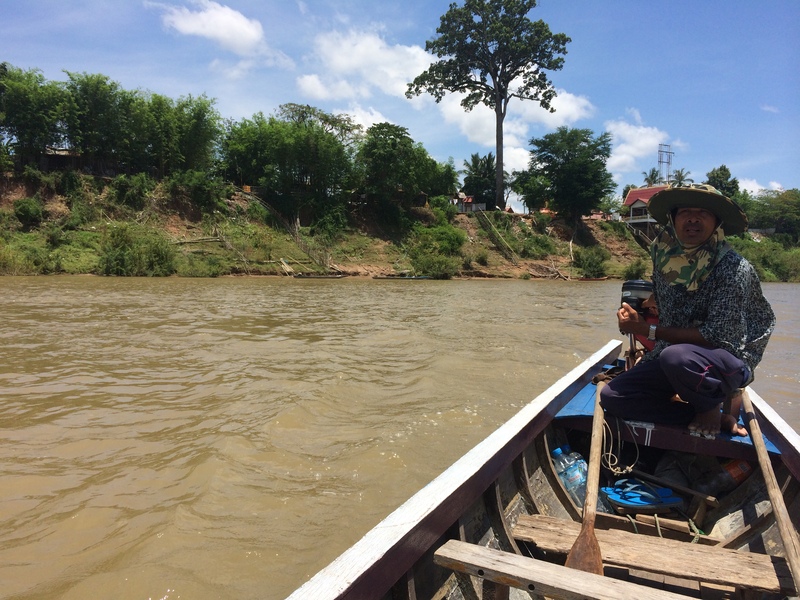 Again, we assumed he would take us to Saphai village and hopped onto his dinky boat without a word. Fortunately our assumptions were valid! We made our way to this remote weaving village. It was desolate and it only took us about an hour and a half to check out the island. I got up and personal with some water buffalo. 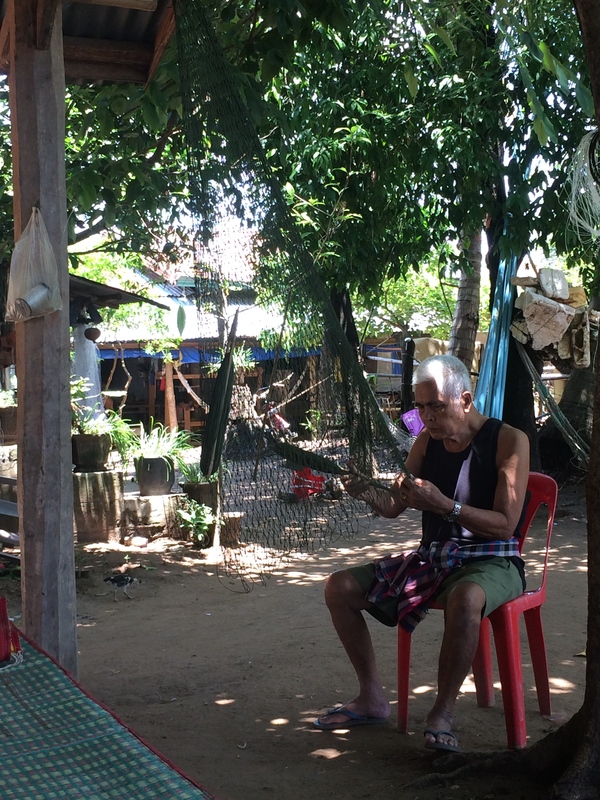 We observed the slow-paced everyday life on the island. 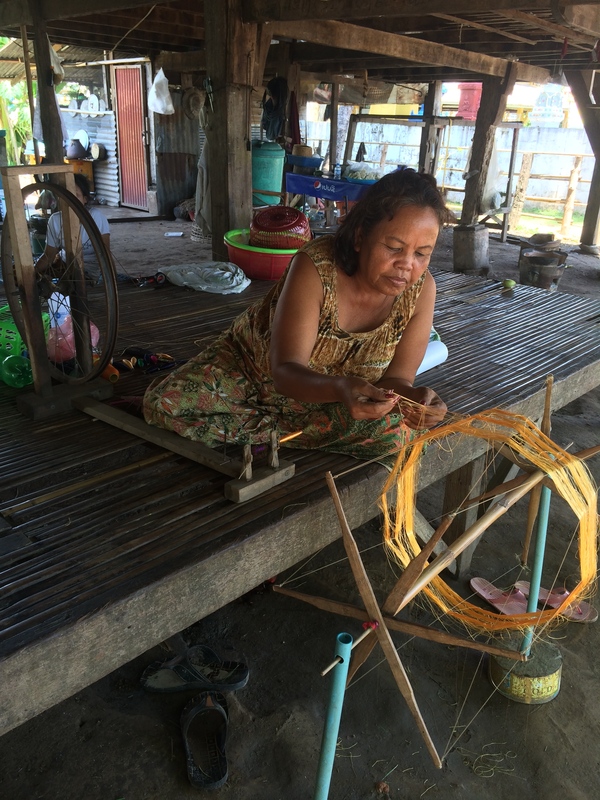 A woman slowly spun silk onto her spool, and an elderly man worked on his fishing net. 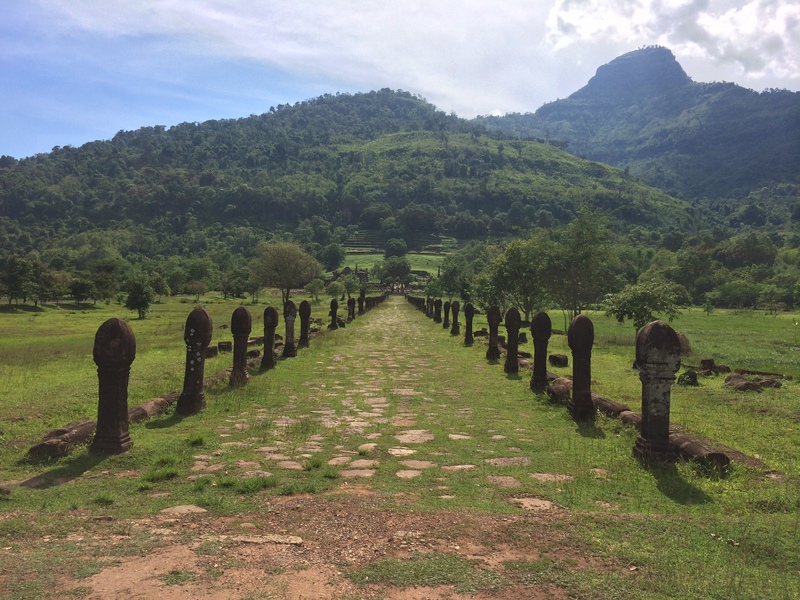 Later that afternoon, we rode the 45 km or so to Wat Phou, the renowned Champa ruins in Champasak province. Since we had already seen a number of ruins throughout our trip, I was quite disappointed with the site, primarily because the ruins are literally ruined. There did not seem to be any preservation efforts, and it was mostly a bunch of stones. Parking was also purposely far away from the actual site so they could offer two steep entrance fees: 35,000 kip ($4.30 USD) for a ticket, or 50,000 kip ($6.25 USD) for a ticket with a ½ mile ride to the entrance. Total tourist trap! In any case, here are some photos below. The highlight of our day was running into a 30-year old couple from Seattle at the bottom of the ruins at a café. Eric and Dina overheard us talking about Burning Man. It turned out that they also ran a camp there and have been burners for 6 years. After chatting a bit, we learned that they both left their jobs at Microsoft, road tripped through the U.S. for a couple months, got rid of all their belongings, flew to Vietnam, and bought motorbikes with the intent to ride all over Southeast Asia before finally settling in Australia. They had just been denied entry into Cambodia that day because the corrupt government would only grant them entry if they could buy their motorbikes for $200 USD only to resell the bikes back to them for $500 USD. Eric and Dina decided to skip Cambodia and ride their motorbikes back to Vietnam. Perfect, I thought. For foreigners, the way back to Vietnam from Laos was through the Bolaven Plateau. They knew nothing of the route, where to go or where to see, and I had just educated myself of Southern Laos only the day before. Coincidentally, they also planned to head to Vietnam the day we planned to head out to the plateau. Delighted by my knowledge of the route, Eric asked if they could ride with us. 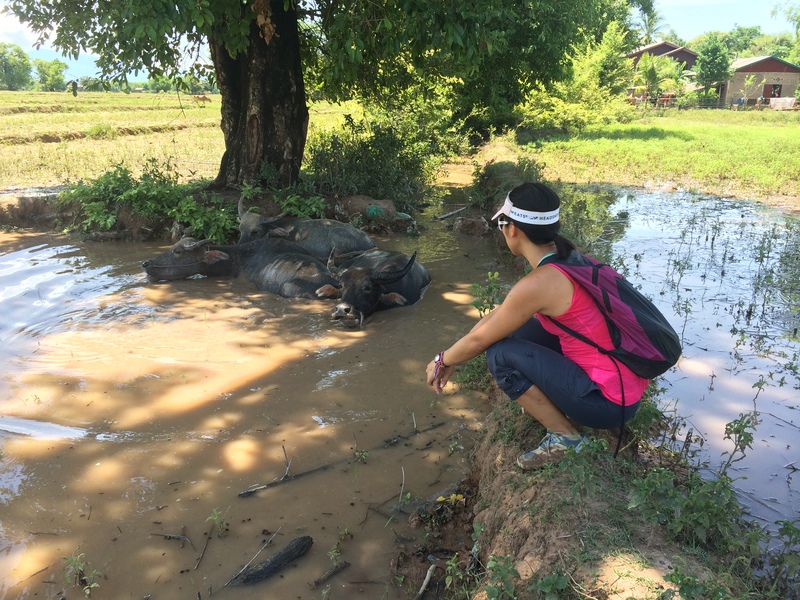 And of course, we graciously invited them to come along on our next 4 day, 3-night journey through Southern Laos.